Leases are one of the most important elements of any rental agreement, setting essential terms such as the length of the tenancy, the rent the property will command and additional extras like whether water consumption or gardening will be included in the price. Here’s what you need to consider as a landlord when it comes to tenancies and leases. 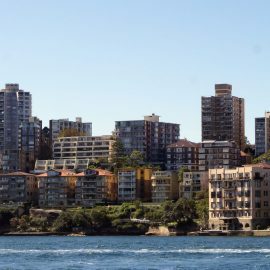 Under NSW law it is the responsibility of the landlord to provide tenants with a Residential Tenancies Agreement, although if you engage a managing agent, this is one of the duties they will perform. This standard document sets out items like how much rent the property commands each week and the period the lease will remain in place for. It notes the bond provided and how far in advance rent is to be paid, on what day. It also sets out any special conditions like who’s responsible for the gardening, who pays the electricity and who looks after any excess water charges. Your prospective tenant is required to sign the conditions of any lease, and your agent will also sign on your behalf. It is then a binding document where conditions apply. For example a tenant cannot break that lease without good reason, sufficient notice, or without incurring charges like a re-let fee and advertising costs. They are legally obliged to pay their rent on time, and maintain the general condition of the property. You are also required to adhere to the lease conditions, as is your agent. That means sufficient notice must be given prior to enter the property for inspections and repairs. You are also required to maintain the safety of the property and ensure it’s in good repair. If these conditions are not met, a breach notice may be issued, indicating this agreement has not been honoured. At the commencement of a lease a tenant is required to fill out a condition report provided by the agent. This sets out the general condition of all areas of the property, enabling the agent and tenant to sign off on exactly the state the property is in at entry. This will be used when the tenant leaves to ensure the property is returned to you in its previous condition (factoring in some general wear and tear). Standard residential tenancy agreement terms are usually six or 12 months, but can be longer or shorter by negotiation. This is called a fixed term. As a landlord this gives you a choice to make. 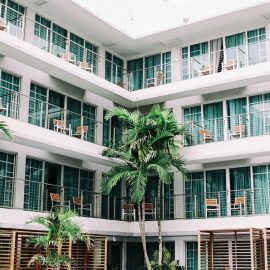 Long-term leases of 12 months provide you with stability, while shorter lease terms allow you to gauge how good a tenant is. They also enable you to respond to the rental market as you can raise or lower the rent at the conclusion of a lease. Should you decide to sell your property while an lease agreement is in place you will need to give your tenant sufficient notice, and they can opt to end the agreement even within a fixed term. You and your agent have the right to access premises to show them to prospective buyers. However, you must: make all reasonable efforts to agree with the tenant as to the days and times for showing. The tenant must not unreasonably refuse to agree to days and times for showing the premises and need not agree to more than two showings a week. When a lease is due to conclude there a number of options available to both the tenant and the landlord. As the landlord you can propose a rental increase or decrease and offer a further fixed period. Tenants need to be given 60 days notice if a rental increase is intended. You can also allow the lease to lapse and default to a periodic lease, which runs from week to week or month to month and incurs the same rental price as previously agreed. You can also terminate the lease agreement at the end of the fixed term. In this instance you need to provide tenants with 30-days notice. Meanwhile a tenant may have their own plans. They are only required to give 14 days notice at the end of a fixed term should they intend to move out. In very rare circumstances a tenant will need to break a fixed lease agreement for any number of reasons. In this instance they are responsible for some of the costs the landlord will incur due to the inconvenience. a percentage of the advertising costs and the agent’s reletting fee (if the landlord uses an agent). For example, if a tenant breaks the lease 9 months into a 12-month tenancy there is 25% of the lease remaining, so the tenant would expect to pay 25% of these amounts. Property investment is not just about retrieving the best possible rental price, and it’s worth noting a good long-term tenant may be worth their weight in gold. These tenants pay their rent on time, look after the property and provide you with financial stability. That means carefully weighing the pros and cons of raising the rental price at the conclusion of their agreement. Although many tenants will expect a minor increase, a major hit to the hip pocket may force a tenant to look elsewhere and this can be more costly than you think. The time, advertising and re-let fee involved in attracting another tenant may substantially reduce any intended profit from a significant rent rise. Meanwhile, the end of a tenancy provides the opportunity to get in and make both minor and major repairs. These include a quick repaint, refresh and replacement of aging appliances. But like any decision it’s a weigh up based on your goals, financial situation and desired outcome. A great rental management agent will help assist with these decisions. You can learn more about our services here , or contact us directly for further advice.